I had all these grand designs about writing and blogging the past week, and then I got sick and had to blow my nose every two minutes (my voice, it is still on the mend, fyi). 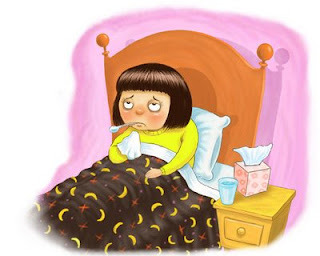 As I was wallowing in mucus and snot, I watched some movies at home...and realized that, in adventure movies, the hero or heroine never gets sick! Wounded, yes, but never blasted with a cold that renders them totally useless. I suppose it would be stupid to incapacitate a hero or heroine because the story would totally stop. But still!...it made me laugh...and then cough...and then have to blow my nose. Admittedly, I don't think I've ever written a main character getting sick before. (I'm thinking...) No, I don't think I have. Yet it is so human!